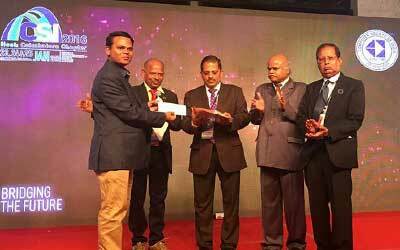 Dr.Sachi Nandan Mohanty, Assistant Professor, School of Computer Engineering, KIIT University awarded FIRST PRIZE as a “BEST THESIS AWARD” on 51st Computer Society of India (CSI-India), CSI Annual convention at Coimbatore, 23-25 Jan 2017. The Title of the thesis is “Influence of Cognition and Emotion on decision-making under Uncertainty”. He did his Ph.D. From Indian Institute of Technology KHARAGPUR (2009-2013) with MHRD fellowship.